God's Best Gift: pearls for your wedding!! Diamond as we all know is a girl’s best friend but I think pearls can be the second girls’ best friend. I wore pearls on my wedding day but of course because I am not rich and that I can not afford to buy expensive pearl necklace and earrings.. I settled for something cheaper but mind you it looks good on my wedding gown and I absolutely loved it!! 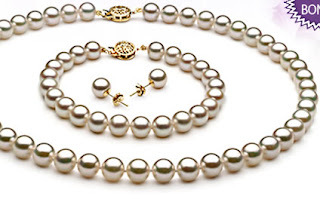 If I have the money I will definitely invest in jewelries and in pearls, knowing I will pass them on to my daughter and to my daughter’s daughter. It would be a family legacy. Pearlsonly.com has wide arrays of pearls, they are all beautiful!! I tell you my eyes are wide open as I look at them one by one. 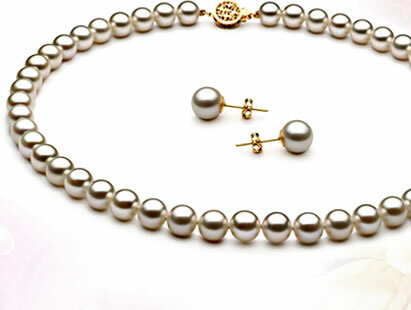 They have great collection for weddings and you can never go wrong with their bridal pearl set. Stunning!! When I look at it I wanted to get married again!! And if you are a frugal girl like me, don’t worry they do always have SALE and the collection in the red tag sale are all so nice too. You’ve got so many choices there and when you buy you get a free decorative gift box!